A couple of weeks ago, I found fresh zucchini in the vegetable section of a popular supermarket. 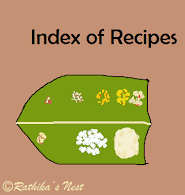 This vegetable is not easily available in Chennai, and hence, I picked it up for making salad. Zucchini, a type of gourd, is rich in vitamin C, vitamin B6 and potassium. Though zucchini can be used to make soups and pasta dishes, I prefer it as a salad. Let me share with you how to make a simple zucchini salad . *You may use ready to use sweet corn pack instead. Method: Wash and cut the zucchini vertically into halves, and cut one half into thin slices. 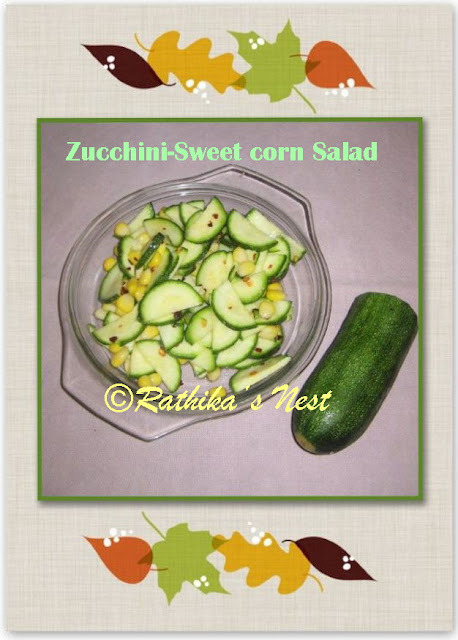 Place the zucchini slices and sweet corn kernels in a large bowl. Add salt, honey, lemon juice and red chili flakes. Mix well. Refrigerate for 30 minutes; your salad is now ready to serve.